For Hodalis Gaytan, 20, living with Type 1 diabetes means depending on an assortment of expensive medicines and devices to stay healthy. Test strips. Needles. A glucose meter. Insulin. Adocia, a biotechnology company specialized in the development of ‘best-in-class’ medicines from already approved therapeutic proteins, in particular proteins and oncologic treatments, launches today a phase IIa clinical trial on its ultra-fast acting formulation of insulin Lispro (Humalog, Eli Lilly) using its proprietary technology BioChaperone). Sanofi-aventis announced today results of two studies presented at the European Association for the Study of Diabetes (EASD) 46th Annual Meeting in Stockholm, Sweden. Halozyme Therapeutics, Inc., a biopharmaceutical company developing and commercializing products targeting the extracellular matrix for the endocrinology, oncology, dermatology and drug delivery markets, today reported financial results for the second quarter ended June 30, 2010. Sanofi-aventis announced today results of a study which demonstrated that patients using Lantus® (insulin glargine [rDNA origin] injection) once-daily and Apidra® (insulin glulisine [rDNA origin] injection) before meals reported improved patient reported outcomes and decreased glycemic variability versus premix analog insulin. Two abstracts from this study were highlighted at the American Diabetes Association's 70th Annual Scientific Sessions (ADA). Sanofi-aventis announced today that results from the RAndomized Study of Basal Bolus Insulin Therapy in the Inpatient Management of Patients with Type 2 Diabetes Undergoing General Surgery (RABBIT-2 Surgery) found that treatment with a basal-bolus regimen that included Lantus (insulin glargine [rDNA origin] injection) once-daily and Apidra (insulin glulisine [rDNA origin] injection) before meals improved glycemic control and reduced hospital complications, compared to "sliding scale" insulin in general surgery patients with type 2 diabetes. AgaMatrix, Inc. and sanofi-aventis today announced that they have signed a long-term agreement for the development, supply and commercialization of blood glucose monitoring (BGM) solutions. Under the terms of the agreement, AgaMatrix and sanofi-aventis will co-develop innovative solutions in diabetes management that incorporate AgaMatrix's WaveSense™ technology. Sanofi-aventis will commercialize through its Global Diabetes Division such integrated solutions for patients with diabetes, along with current sanofi-aventis insulins and delivery devices. Commenting on the Group's 2009 performance, sanofi-aventis Chief Executive Officer Christopher A. Viehbacher said, "2009 was the first year of implementation of our new strategy. Major steps have already been achieved in strengthening our growth platforms and reinforcing our R&D pipeline while delivering a double-digit EPS(1) growth". Due to a lack of suitable studies, it remains unclear whether children and adolescents with type 1 diabetes benefit more or less from long-term treatment with rapid-acting insulin analogues than with short-acting human insulin. Health Canada has approved the ClikSTAR reusable insulin pen for use with Lantus, giving patients with diabetes an additional option to safely and effectively achieve and sustain control of their blood sugar levels. The new insulin delivery device was launched today in conjunction with the 20th World Diabetes Congress being held in Montreal, Quebec, making Canada one of the first countries worldwide to launch this state-of-the-art pen. The Canadian Diabetes Association applauds the Government of Saskatchewan for increasing access to insulin detemir for residents of Saskatchewan living with diabetes. Insulin detemir, also known as Levemir, has been added to the Saskatchewan Drug Formulary, under Exception Drug Status (EDS) effective July 1, 2009. As well, the updated formulary now includes NovoRapid-NOO, Apidra-AVT and Humalog-LIL within its Revised Exception Drug Status Criteria. There is currently no evidence available of a superiority of rapid-acting insulin analogues over human insulin in the treatment of adult patients with diabetes mellitus type 1. 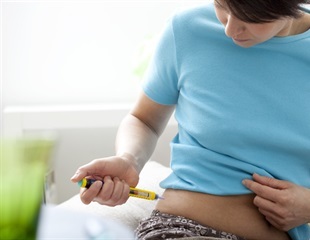 Fast-acting artificial insulin drugs work just as well as regular human insulin, but it's unclear how they could affect the health of people with diabetes over the long run, according to a new review of recent studies.